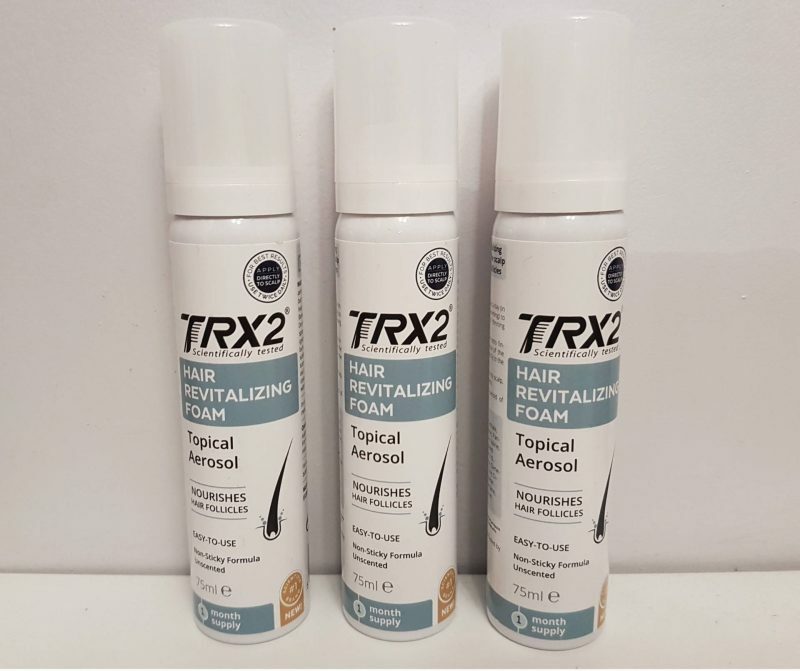 You might remember a post a little while ago sharing my experience of TRX2® Molecular Food Supplement for Hair and TRX2® Hair Revitalizing Lotion. After the initial three month trial I was kindly asked if I’d like to carry on for a further three months to see if there would further improvement in my hair. 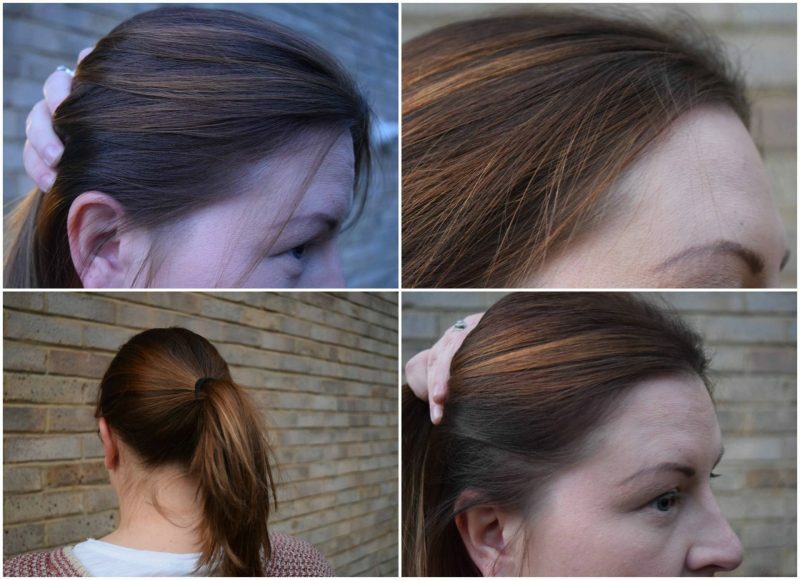 I was keen to carry on and have been really impressed with the difference to my hair. 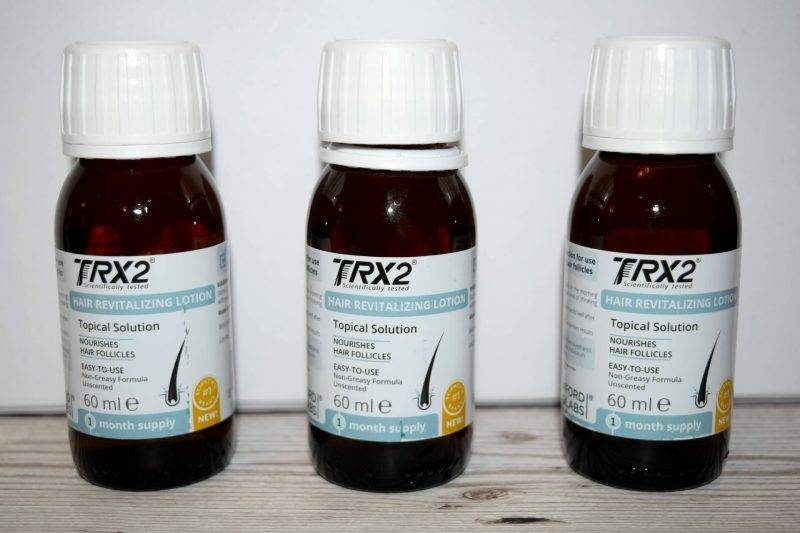 I have been using TRX2® Molecular Food Supplement in conjunction with TRX2®Hair Revitalising Foam for the last three months in an attempt to strengthen, nourish and encourage my hair to grow. 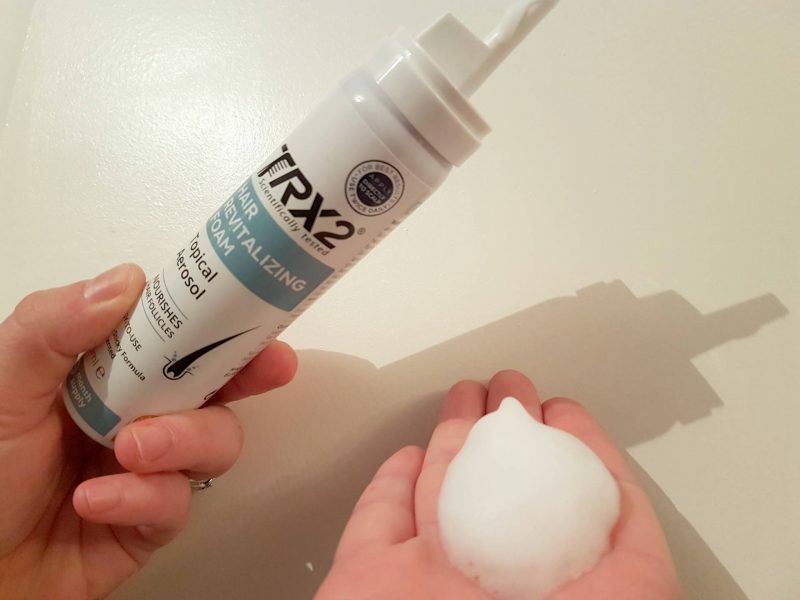 TRX2®Hair Revitalising foam is based on the same formula as the TRX2® food supplement and includes ingredients such as Potassium chloride, Biotin, Carnipure™ tartrate (L-carnitine – L-tartrate), BCAA and niacin delivered via a proprietary potassium channel — stimulating complex. TRX2® Foam also contains Biotin, which contributes to the maintenance of normal hair. TRX2® Hair Revitalising Foam is a topical solution produced using naturally-based ingredients. It is developed for use on the scalp to nourish hair follicles. The Hair Revitalising foam is dermatologically tested. Free from synthetic fragrance and dyes and isn’t tested on animals. The foam is similar in consistency to hair mousse and should be applied to the scalp twice a day. I found it easiest to squirt some into my hand and use the other hand to massage it in to my scalp ( you need to wash your hands when you’re finished). I did tend to avoid using it on a morning when I wanted to wear my hair down as I found it made my hair look greasy. The supplements help to boost the absorption of essential nutrients within the hair follicle to support the production of strong, healthy hair. Again, they are free from synthetic fragrances and dyes. They are not tested on animals and are suitable for vegetarians. The tablets are pretty large in size but are swallowed easily. Three tablets are to be taken each day with food. You can take them with each meal or all together. I’ve always opted to take them in the morning. Thankfully, they dont have any after taste and are washed away very easily. 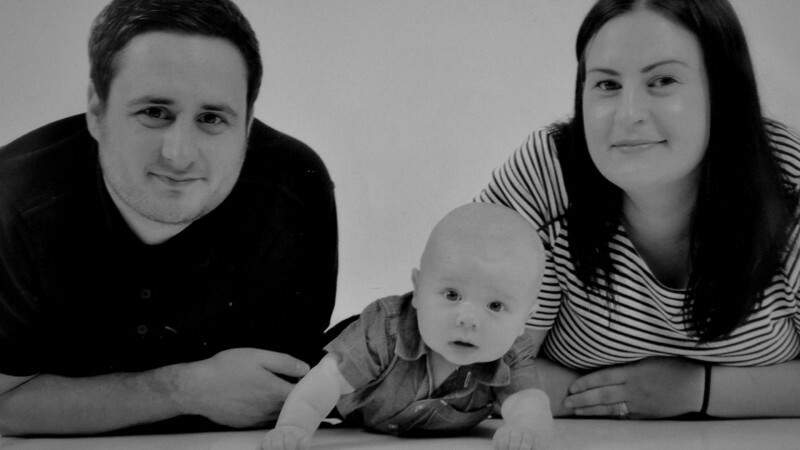 As you can see in the pictures above, my hair was extremely thin before the trial started. It was really sparse, particularly around my temples and hair line. The pictures above show my hair after the first initial three month trial where I was using TRX2® Molecular Food Supplement and TRX2® Hair Revitalizing Lotion. My hair felt a little thicker and I quite a lot of new growth and ‘baby’ hairs around the sides of my head. From research, people who experience hair loss have been found to show reduced potassium channel activity. Over time potassium channels in both men and women begin to reduce and stop transporting essential nutrients to the membrane. This means the hair is starved of essential nutrients and vitamins, which in turn makes hair thinner and less healthy. 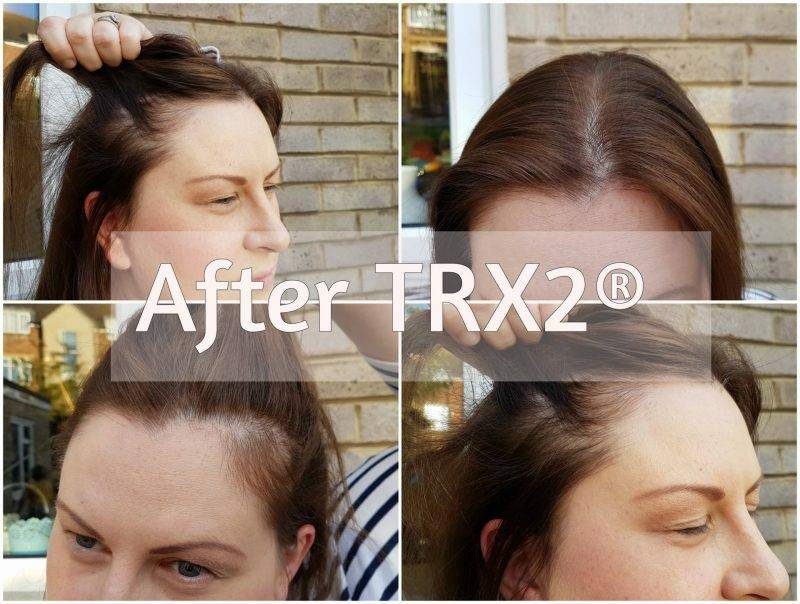 TRX2® products work by re-activating the tired and clogged up potassium channels so they are able to absorb essential nutrients again and helps support the production of strong, healthy hair. The pictures above are after 6 months using TRX2® products and a haircut. I think they difference is pretty obvious. Whilst I still wouldn’t describe my hair as ‘thick’ it looks and feels much healthier and my temples look so much better. 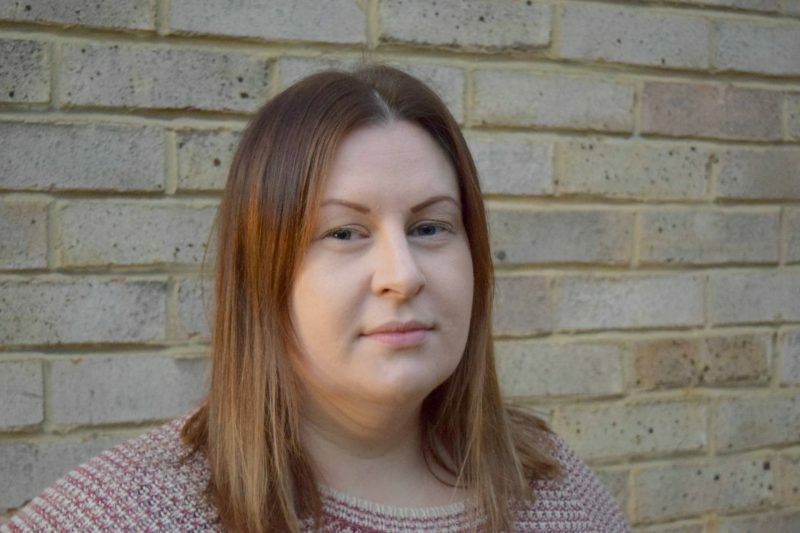 I feel more confident with my hair fastened back and I recently had my hair cut and the hairdresser didn’t make any comments about how thin my hair was which made such a refreshing change. I am really pleased with the results of my sixth month trial and I do think it’s made a noticeable difference to my hair. 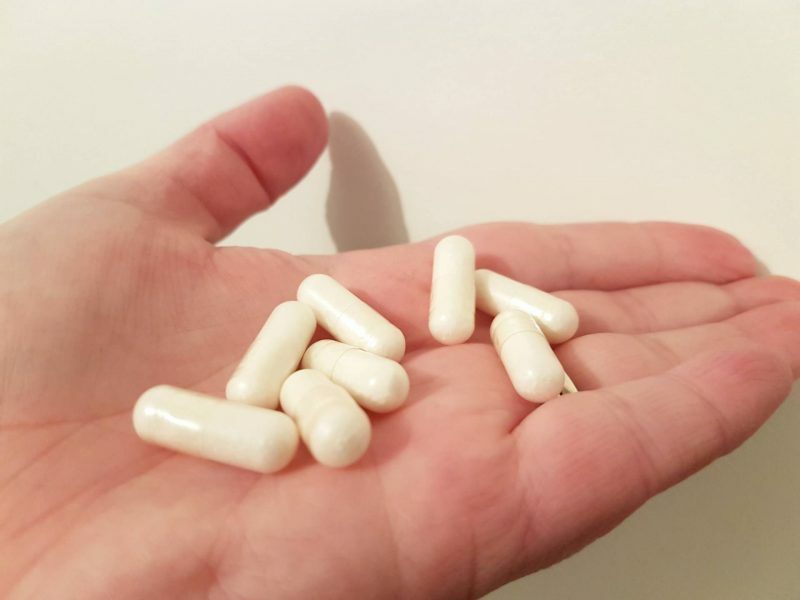 I am going to repurchase the supplement tablets as I find them the easiest to use and see if I can further enhance the thickness and growth of my hair. Results with TRX2® won’t be instant. 10-15.7% of user see a visual improvements in hair texture and thickness withing 1-3 months, 15-35.1% in 4-9 months and 35-49.2% in 10-18 months. It’s something you need to commit to and ensure you can afford. The TRX2 products are pricey however, they have worked really well for me so something I could warrant the expense for. 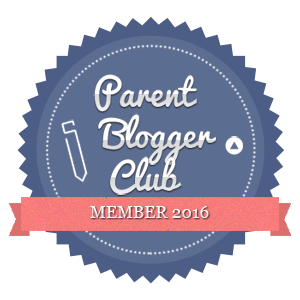 This is the third post of three that I have written in return for 6 months worth of TRX2®products. Opinions are honest and my own.